Price : $282.35 $197.65 (Discount 30%) Limited offer! Advertising with Bidding System to sell advertisement for Classified Ads, Banner Ads, Text Ads & Solo Ads. Classified ads that can be classified by Country, State and City locations. Gift/reward features such as Ranking rewards and Pool Gifts. ePin Features, Manage E-Pins and sell them to your members so your members can join your program using the pins. Responsive templates for frontpage area and members area. Responsive Web Design makes your web page look good on all devices (desktops, tablets, and phones). Easy To Design. Working with smarty template system so it is easy to work with html codes using any standard html editor. You will be able to design easier, add more links or page without any restriction. We provide 3 Free Templates with the product package that you can use to beautify your website. Automatic Activation and withdrawals for payment method that supports Instant Payment Notification. Image Manager. Using Image Manager to upload your image or your company logo, Uploading images is easier! Membership Subscription such as Daily, Weekly, Monthly or Yearly. The membership handled automatically. Buy Ads Credits & Get Profit. 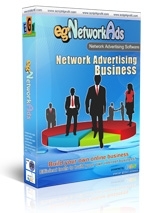 Your members are able to purchase more ads credits and get profit thru Network Commission Plan. Exchange Reward Point to get more Ads Credits. Easy Ads Placing. You can place ads anywhere! Easy... by writing simple code to any page you wish then the ads system will work automatically. Hi everyone Just wanted you to know that Script4Profit and EGN Software are the BEST Services. it was such a relief to find a GREAT service!....I HIGHLY recommend your program...Thank you Script4Profit and EGN Hosting for all the Great work you do!